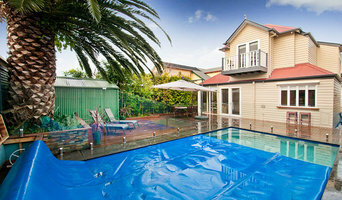 37 South Pools are an award winning, boutique swimming pool company in Melbourne. Specialising in concrete pool design and construction, we offer the complete outdoor package. Rainwise Pools Melbourne are a multi award winning business. Rainwise are pool shop and pool builder with an environmental conscience. Our happy customers enjoy a timeless pool that adds value to their property and promotes sustainable practices. Rainwise Fibreglass Pool come in a wide range of shapes and sizes to suit any need, whether it be family fun in the backyard, a lap pool or a small plunge pool to complete the perfect backyard. Rainwise have been turning dream pool into reality all over Melbourne for the last 10 years. Rainwise provide beautiful pools, installed to perfection all over Melbourne, from our family to yours. I started Good Soil and Water 10 years ago from a need to integrate landscaping and pools with the construction of new homes and renovations. By specialising in both landscaping and pools, we reduce the number of trades you need to work with. As a registered builder and owner of a building company, I take an holistic approach so your landscaping and building process is seamless in bringing your outdoor plans to life. 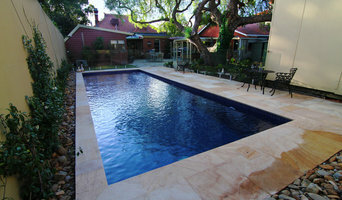 Great Ocean Pools construct quality concrete swimming pools and spas in Melbourne, Geelong and Surf Coast areas. As Licenced Registered Builders of swimming pools and Landscape construction, we can provided a complete swimming pool and landscape construction project. Australian and New Zealand pool builders continue to push the boundaries in terms of design. Infinity pools, for instance, are no longer reserved for top-end holiday resorts; and lap pools aren’t standalone additions to a backyard. You can now get your feet wet in an infinity pool, lap pool or swim spa that is an integral part of your Long Forest, Victoria home design. And, with improved technology, there are more low-maintenance, energy-efficient and sustainable options available. Whether you’re at the beginning stages of planning a pool or spa, renovating an existing one, or just need upkeep assistance, there’s a Long Forest, Victoria pool specialist on Houzz who can help. After council approval, your contractor will commence construction, which can take up to two weeks for a fibreglass pool and longer for a concrete pool. Some companies in Long Forest, Victoria extend their services to pool fencing, landscaping and the coordination of trades for filtration and heating equipment, as well as pool cleanings, water testing, renovations and equipment replacement or repairs. Here are some related professionals and vendors to complement the work of pools & spas: Garden & Landscape Supplies, Landscape Architects & Designers, Building Project Managers, Landscape Contractors & Gardeners, Solar Power Contractors. Find a Long Forest, Victoria swimming pool and spa expert on Houzz.